Do You Really Need Keto Sticks? Keto Sticks or Ketostix are used to check if your body is creating ketones. It’s basically how we keto-ers check to see if we’ve done a good job, and also to make sure we haven’t done TOO good of a job. 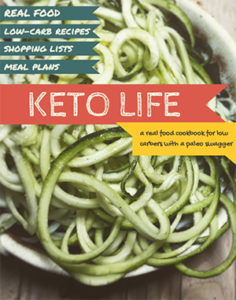 Keto sticks are especially helpful in your first couple of months, but once you get into the swing of things, you’ll have figured out what types of food put you into ketosis or not. You can cut keto sticks in half (the long way) to double your inventory. All brands work the same, so get the cheap ones if you want. 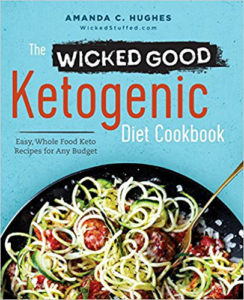 If your keto stick is dark purple, drink lots of water and bouillon, you want it to be pink—you’ll get very sick from producing too many ketones. Also a note: everybody is different. For example, in the first three weeks that we were in Keto, we went to Disney World—we obviously enjoy being tortured. I actually did great during those days, taking buns off of burgers and drinking a lot of water. The worse part of keto is, by the way, trying to eat at normal restaurants and paying $12 for a burger when all you eat is the patty. Anyway, on our last leg of the last day in Disney, I caved and bought a hot, crispy, sugar-coated, pumpkin funnel cake. I split it with P and two other people so that it wasn’t too bad for me. I also got a giant caramel apple after that, but P just stuck to the quarter of a funnel cake. The next day we tested our keto sticks and P was kicked out of keto and I wasn’t. Even though I ate all that sugar, I remained in keto throughout, while P was off the boat. He responds to sugar and carbs similarly – I can have a glass of red wine and be fine, but it’ll kick him out – in fact he’s likely to even gain weight from it when I won’t. I can have 50 net carbohydrates (and more) a day without getting kicked out, and he has to keep it under 30. In some ways, this works in his favor. He’s much better at eating keto than I am because he knows that even an ounce of sugar or bread kicks him off the plank, while I can get away with it. Getting away with it isn’t a good thing, and it leads to things like my elaborate 3-week Christmas binge, or a pizza road trip, like we did for our 11/11 anniversary. Bad. Keto is a lifestyle more than a diet though, so if your keto stick says that you’re out, then just quit eating sweets, it’s as simple as that! 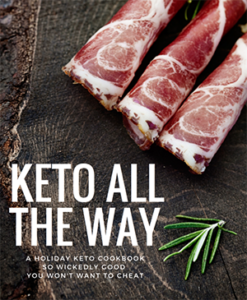 2013 = Keto Recipes — What is Keto Diet? Thank you for this. I needed this confirmation tool for incentive. Bought some today. I’m not in keto. Interested to see what it takes to get there, and what will knock me out. Such a good tool! I’m curious why having the keto stick dark purple can cause you to get very sick? Urine sticks will tell you if you are producing ketones but not if your body is actually using ketones for fuel. When your body uses ketones, your kidneys reabsorb them and the urine test will probably fail. To know for sure what your body is doing you will need a dual ketone glucometer to measure both ketones and blood sugar level. If your ketones are elevated and blood sugar stays lowered (70’s -80’s) you are keto-adapted. That is, your body and brain are utilizing ketones as a fuel source. Remember that amino acides from consuming excess protein will be converted to glucose in the body via a process called gluconeogenesis, which will show as a blood sugar / insulin spike, knocking you out of ketosis. That’s how the original Atkins diet ended up with people hitting weigh loss plateaus. They were making carbs from PROTEIN. Please tell me if what I’m eating is keto fat loss friendly: coffee w stevia & heavy whipping cream in morn & having 1 more cup at work. Drinking H20 all work day 9 hours. Then one meal a day: Large salad of leafy greens, romaine & cucumber. Olive oil & red wine vinegar. Then sometimes a Clausen dill pickle half. it’s not what you’re eating that’s the problem, it’s how often. limiting yourself to one meal not only increases the risk of a huge spike in blood sugar which can cause you to be more insulin-resistant, you’re also slowing down your metabolism and telling your body you’re in starvation mode which causes you to store excess fat. not to mention excess calorie restriction makes a diet unsustainable. if you keep going like that, you’re gonna eventually lose energy/get hungry/give up. you need to eat when you’re hungry. as i’m not a person who gets too hungry, I only do two meals and a snack, but more tinier meals are ideal. there are numerous studies that show a big breakfast is directly linked to weight loss, so I would focus on fueling up in the mornings, and tapering off the closer you get to sleep. otherwise, your food choices look pretty balanced to me, though replacing the coffee with tea of some sort might be better for your overall health. Oops also a piece of 6-7 ounces of salmon, chx, beef or turkey w said ☝️salad.